However, to attain such results, you need to take care of your skin by having a seamless skincare routine that covers all areas from cleaning the skin surface to the application of the right type of night cream that supports skin regeneration as you sleep. 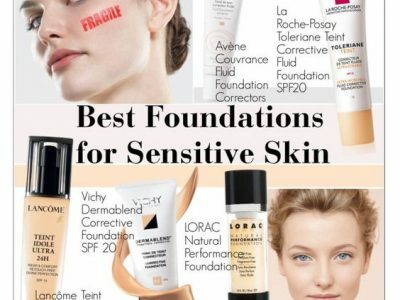 Selecting the right products can be quite challenging at times especially if you have sensitive skin. It is a more evident dilemma that can be seen in the first steps of a skincare routine when selecting the right face wash. A face wash is a formula that aids in the clean-up of the skin to get rid of bacteria, sebum, dirt, dead cells, sweat, and makeup. It is fundamentally essential to use the right type of face wash for your skin. Understanding how your skin reacts in different weather plays a significant role in helping you make the right decision when choosing a facewash. When the temperatures outside are low, and you are in a room with dry heat, your skin tends to start losing moisture and using a harsh facewash may cause disastrous results to your skin complexion. Since the cleansers come with surfactants that help in clearing oil, dirt, and bacteria from the skin pores, they may also scrape out the remaining moisture from the sin and leave the skin dry and flaky. It can be bad if your skin has acne since the over-drying can cause micro-injuries on the skin giving way to the entry of bacteria that ends up making the acne worse. 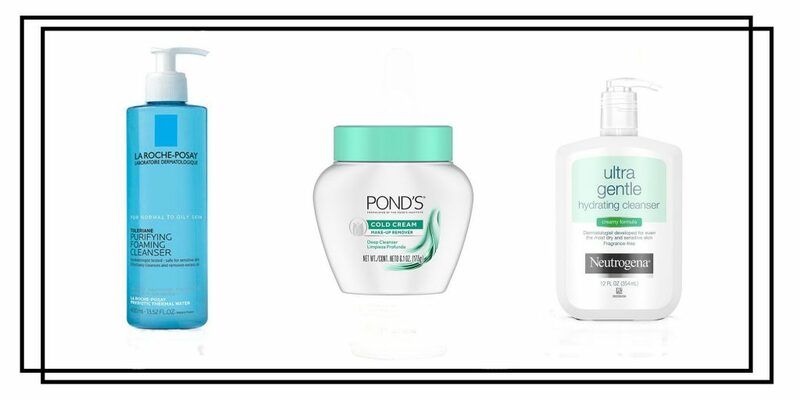 How do you choose the right face wash if you have sensitive skin? Understanding what is used in the making of a facewash will help you choose the right product to deliver the best results for your skin. For sensitive skin, you should avoid products that contain alcohol and fragrances. Look through the label of the products and choose those listed as unscented or fragrance-free. Look for ingredients that give the skin a calming effect such as chamomile, aloe and green tea polyphenols. If you have a darker skin complexion, be on the lookout for products that contain glycolic acid, salicylic acid, and lipoic acid as they are known to irritate. Go for a face wash that is hypoallergenic and does not contain any soap or parabens. By knowing the information above, you are able to choose a product that works to the interests of your skin. The following is a list of the best face wash in the market today that delivers excellent results on sensitive skin. The La Roche-Posay Toleriane Hydrating Gentle Cleanser is a formula made on a strict formulation charter with carefully selected ingredients to cleanse and soothe sensitive skin. The cream is gentle and leaves the skin feeling clean and well hydrated. You can use it not only on sensitive skin but also on all the other skin types. The formula contains Ceramide-3 which is an essential ceramide that you can find in the skin naturally. It has La Roche-Posay Prebiotic Thermal Water that contains antioxidant properties and well as hydrating and soothing capabilities. There is glycerin that provides the sin with the needed moisture and Niacinamide which is a type of Vitamin B3 that provides the skin with soothing capabilities. 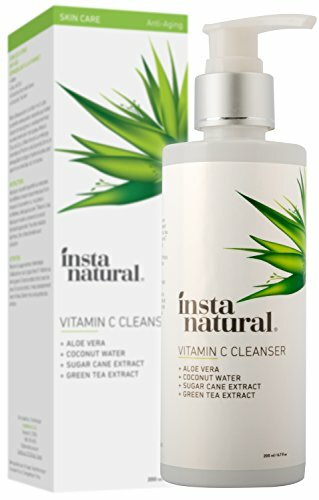 The cleanser gently gets rid of facial and eye makeup, impurities and dirt from the skin surface while also maintaining the protective barrier of the skin. It is dermatologist tested and allergy tested. It does not have any oil, soap, fragrance or parabens. It efficiently delivers clean and comfortable skin without clogging the pores. Burt’s Bees Face Cleanser is an award-winning formula that helps to clear away oil, dirt, and makeup without causing any irritation on the skin. The cleanser was awarded the 2016 Allure Best of Beauty Award and received the seal of acceptance from the National Eczema Association. It is made up of 99.8 percent natural ingredients such as rice extract to moisturize the skin, cotton extract to soften and protect the skin from irritation and aloe to provide moisturizing and soothing properties. The cleanser is dermatology tested for use on sensitive skin with results showing its ability not to cause redness or irritation of the skin. Its ingredients also help it to eliminate any allergic reactions. The formula does not contain any fragrance, parabens, Phthalates, oil, petroleum, and SLS. The Garnier SkinActive Gentle Sulfate-Free Foaming Face Wash is an extra-gentle cleanser that works on all skin types’ especially sensitive skin getting rid of dirt, excess oil, impurities and facial makeup while still taking care of the skin. 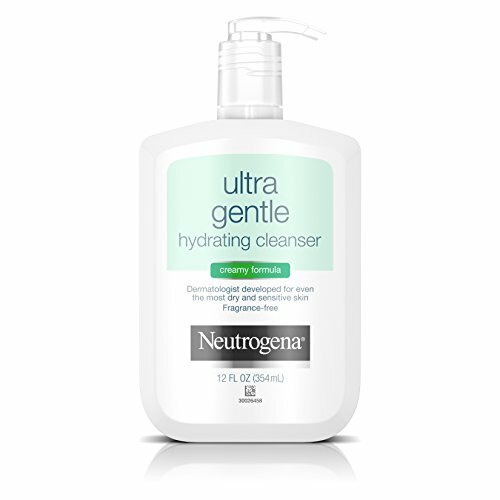 The cleanser comes in a large plastic bottle with a pump lid that allows for easy dispensing. It has a lightweight formula that spreads easily on the face and gets rid of the makeup, dirt and excess oils without drying the skin. The face wash does not contain any harsh detergent cleansers. It contains skin replenishing ingredients that are gentle on the skin. It is rich in glycerin that provides the skin with the necessary moisture after cleansing keeping the skin fresh and well nourished. The gentle formula does not irritate or over-dry sensitive skin. It does not contain any sulfates, parabens, alcohol, dyes, oil, and fragrance. It is ophthalmologist and dermatologist tested for its gentleness and safety. 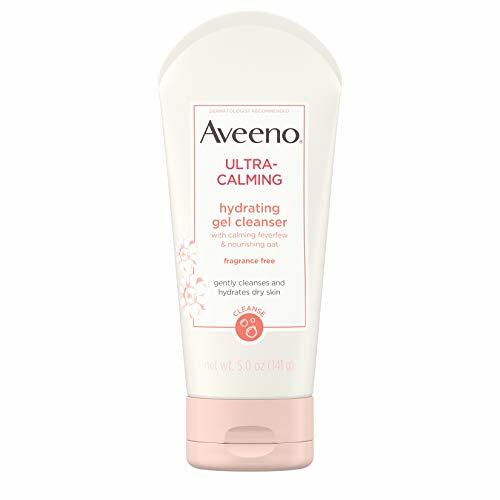 The cleanser does not clog any skin pores. The Clean & Clear Deep Action Cream Facial Cleanser is a formula made to help in cleaning sensitive skin deep down to the pores without causing irritation or over-drying. The cleanser is clinically tested to get rid of all the dirt, makeup and excess oil from the skin surface leaving the skin soft and smooth. The face wash is gentle allowing everyday use. 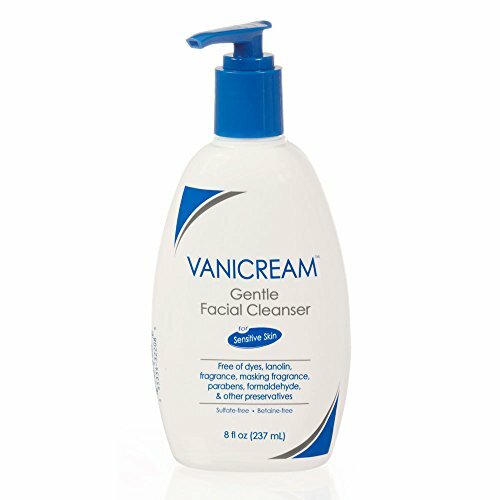 It is thick and creamy making it feel more like a lotion than a cleanser. However, it leaves your skin clean with a cooling sensation after rinsing off. The formula contains salicylic acid that helps in exfoliating the dead skin. It also contains added moisturizers that aid in soothing the skin and keeping it well moisturized. The oil-free formula is hypoallergenic and will not clog the skin pores. It comes in a simple, clean and clear tube packaging with a top flip open cap for easy use. The Clean & Clear Essentials Foaming Facial Cleanser is the best cleanser by Clean and Clear due to its ability to effectively remove makeup from all the skin types gently. The face wash is made up of a water soluble-formula that can work on extra-sensitive skin or rosacea. It contains a tiny amount of fragrance but does not contain any oils. The formula gets rid of any dirt and impurities that may lead to breakouts. The face wash does not leave any residue on the skin surface that may later irritate. It comes in a clear and clean transparent bottle with a pump lid that allows easy dispensing of the cleanser. The pump lid has a lock mechanism that prevents the product from leaking. The Total Zen Calming Lavender Mousse Facial Cleanser is a product by Clean & Clear under the brand name C&C. The face wash contains cleansing capabilities for sensitive skin that is gentle enough to use even twice in a day. The formula has a soothing whipped mousse texture, and a carries a freshly cut lavender scent. By massaging one to two pumps of the cleanser on the face and rinsing thoroughly, you can get rid of all the dirt, excess oils and impurities that accumulate on the skin throughout the day. The formula clears out the skin pores and leaves you feeling fresh. The Face n Earth Sensitive Skin Care Cleanser is a formula specially made for use on sensitive skin to help in loosening the dead skin cells on the topmost layer of the skin. It cleanses the skin without causing any inflation, redness, irritation or dryness. The formula contains cucumber extracts and chamomile flower extracts that have soothing properties and help in calming sensitive skin. It is gentle on the skin and removes makeup and dirt without stripping off the natural oils from the skin. The cleanser contains glycerin that revitalizes the skin giving it a calm and radiant look. One bottle is enough to last for 4 to 6 months. The Face n Earth Sensitive Skin Care Cleanser Chamomile & Cucumber can work on all the skin types. It is advisable to apply the cleanser on moist hands, and massage on the face in circular motions then finish by rinsing with warm water. For the best results, it is best to follow it up with a Face n Earth toner and serum. The formula does not contain any parabens, detergents or SLS. The Eucerin Redness Relief Cleansing Gel is a gentle formula that contains a soothing skin extract from the Licorice root known as Licochalcone that helps in minimizing the risk of skin irritation. The gel won the Allure Best of Beauty Award in 2015. The face wash gets rid of makeup, dirt, and impurities from the skin while still maintaining the skin’s moisture balance without leaving the skin dry. The cleansing gel is clinically tested to work effectively on sensitive skin. The gel is pale-yellow and feels cols whenever you apply it on the skin. It produces a bit of lather when you massage it on the skin and comes with a faint medicinal scent. It moisturizes the skin giving it a deep clean and well-relaxed feel. It does not contain any oils or soap. It is dermatologist tested. The NIVEA Men Sensitive Face Wash was made especially for men that have sensitive skin. The formula cleans the skin and gets rid of all the dirt and impurities that are on the face. It contains chamomile extracts, witch hazel extracts, and Vitamin E among other ingredients that help to give the skin a healthy and fresh look. The formula gently cleans the skin without irritating or drying it. It also cleanses and softens the beard to allow for a better shave. The cleanser does not contain any soap, dyes or alcohol. It contains glycerin that helps in moisturizing the skin and keeping it well hydrated. It is dermatologist tested for the compatibility and usefulness it has on the sensitive male skin. The SKIN RECOVERY Cream Cleanser is a rich formula that thoroughly hydrates and soothes dry and sensitive skin getting rid of its dullness and redness. The cleanser is meticulous, cleaning out all the surface impurities and dirt while also gentle enough to not leave the skin dry. The cleanser is creamy and blends easily from its bottle. It does not seem to lather when you rub it on the skin but rather dissolves into your skin and when you rinse your face it carries with it all the impurities from the skin. The cream gently removes makeup without stripping essential moisture from the skin. It glides easily over the skin surface where it emulsifies and carries with it all the makeup, dirt, and impurities leaving the skin feeling softer, smoother and comfortable. It also helps to reduce skin redness. The cleanser is made to be gentle on skins prone to eczema. The formula does not contain any dyes or fragrance, and the company does not perform tests on animals. The Simple Water Boost Micellar Facial Gel Wash is a new kind of cleanser that makes use of micellar technology to effectively cleanse the skin without, irritating, over-drying, or leaving the skin feeling tight. The formula is light and instantly hydrating leaving your skin feeling supple and comfortable. It contains essential skin minerals and plant extracts that are of benefit to sensitive skin. The gel is soft and gentle to apply on the skin lathering up very well allowing you to rub it on the skin with ease. After rinsing, the formula leaves your skin feeling well hydrated and refreshed. The cleanser does not contain any harsh chemicals, perfume or artificial colors. The Basis Cleaner Face Wash is a simple formula made from a blend of gentle botanicals such as lemongrass, chamomile, mint and aloe vera. The formula deep cleans the skin getting rid of makeup, oils, dirt, and impurities leaving the skin feeling clean and fresh. It spreads easily on the skin and foams up very fast when you massage it to the skin carrying away all the impurities, dirt and excess oil once you rinse your face. The face wash is gentle on the skin and does not strip off the essential nutrients and moisture. It is 100 percent free from soap and oil. Cleansers are incredibly powerful, and if you are not careful with your selection, you may end up getting a face wash that may result to stripping off the moisture from your skin leading to the formation of dry patches, flaky skin or even development of lines and wrinkles. By choosing one of the products listed above, you are sure of getting a face wash that is gentle on your skin and effectively gets rid of dirt and makeup. Once you get a cleanser that works for you, use it depending on how your skin feels. If your skin feels dry use it only once every day right before you sleep, however, if you have an oily skin use it twice in a day, once in the morning and another time in the evening right before bed. After using the facial wash, follow it up with a good moisturizer to lock in the skin hydration and a sunscreen to protect you throughout the day.